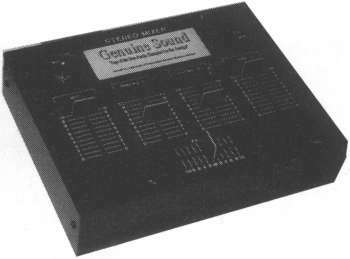 The Genuine Sound was available in two versions, one version is Mono, whilst the other is Stereo. It supports sampling rates from 5Hz up to 20Khz with an error range of +/- 0.05 dB. It also supports multiple audio inputs for mixing. It has 1 x Mic Input, 2 x Phonos and 1 x aux RCA connector.